VATICAN CITY (CNS) — Peace and an end to violent conflicts around the world should be placed above any national interests when it comes to the relationship between Western countries and Russia, Cardinal Pietro Parolin said. “The effort to understand each other does not mean the yielding of one to the position of the other. 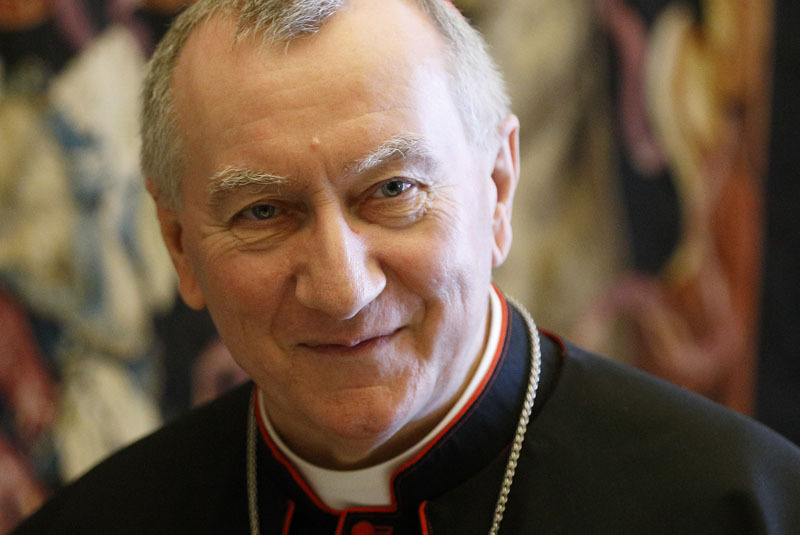 It is rather a patient, constructive, frank, and at the same time, respectful dialogue,” Cardinal Parolin said in an interview with Il Regno, an Italian Catholic magazine, published July 27. “I am convinced that it is part of the Holy See’s mission to insist on this aspect,” Cardinal Parolin said. However, Cardinal Parolin expressed his hope that the United States and other countries will not change course “from their international responsibilities” on important global issues, especially the commitment to addressing climate change. “Reducing global warming means saving the common home in which we all live and reducing the inequalities and poverty that the warming of the planet continues to produce,” he said. Who are they to judge ? Also, don’t forget that the government under John Kennedy was responsible for the overthrow of the government of South Vietnam which has brought about the rule of communism in that country and the resultant problems that occurred in the surronding countries. What a calm, thoughtful , reasoned position. Conversely, much of the main stream media is obsessed with bashing President Trump. Trump spends some time conversing with Putin at a dinner table in a room full of people and the main stream media treats it like it is a scandal. Why not talk to Putin? After all between the US and Russia, probably 8000 nuclear weapons are poised to destroy civilization. Duh! Regarding election tampering, lets get this straight, the US CIA never has gotten involved in a foreign election? Right? If you believe that well the tooth fairy is real too. The CIA was instrumental in overthrowing elected governments in Iran and Argentina. How did that work out? I think you mean the CIA was instrumental in Chile… not Argentina.